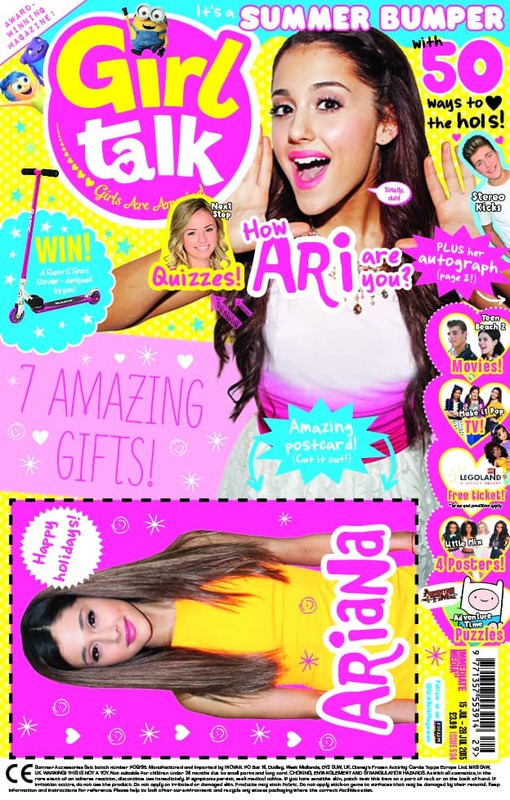 This issue’s cover star is the awesome Ariana Grande – and it comes with an amazing postcard of the popstar too! Inside, you’ll find interviews with stars of the latest films and tv shows including Teen Beach 2 and Make It Pop! There’s a free ticket to Legoland Windsor Resort! Plus, there’s a huge 7 gifts and the chance to win a Razor scooter designed by you! Here’s our 5 favourite stories from this issue! Would You Rather… with Georgia and Finney from Disney’s First Class Chefs!